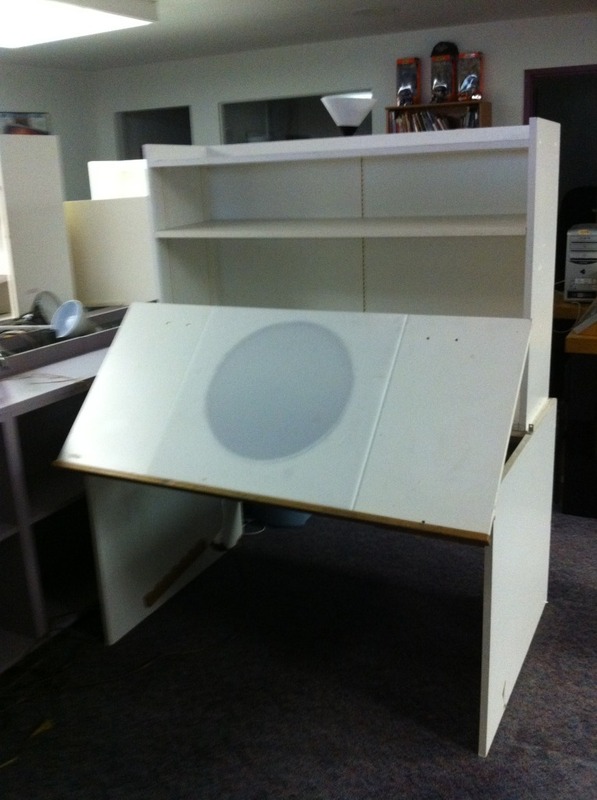 WARNER BROTHERS ANIMATION DESK with built in light boards and removable shelves. These classic desks are hard to come by and have been known to sell for $1,000 apiece. This is a GREAT deal or should we say, STEAL! Buy it quickly as it won’t last at $200. Dimensions (approximate) 49 inches wide……36 inches width …….48 inches high (including shelves). White wood. Lots of history….if only these desks could talk. Thanks for your interest. One more thing….cash only please!